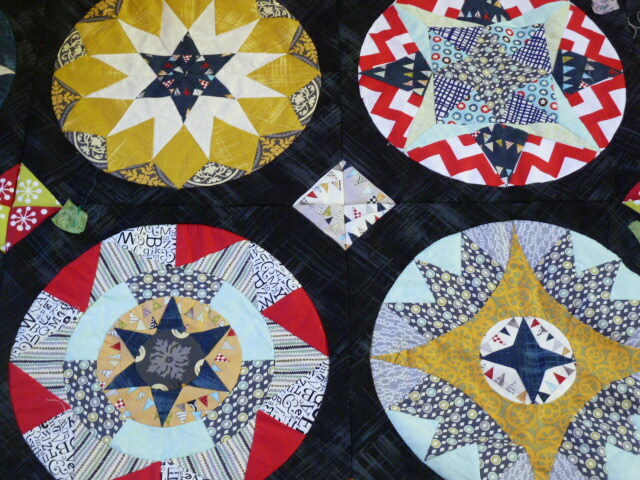 I have finished sewing the Camelot blocks together. 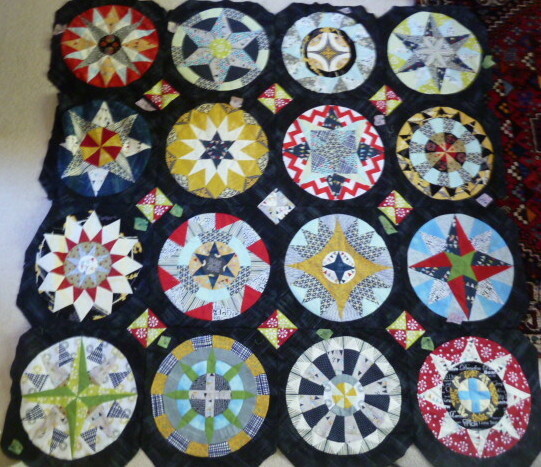 I used red and green for all the corners except the central one where I used two of the accent fabrics. I plan to use these two fabric around the edge when I do the border. Yay, almost there! I didn’t think I would like the dark background, but I do. What are those little green squares I see sprinkled around? This is such a show stopper!! 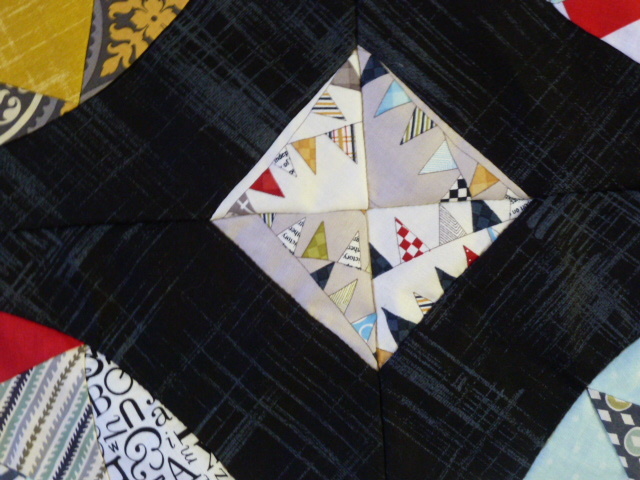 I love the setting triangles/squares. It breaks up the dark background perfectly! Looking forward to seeing the next stage! Just found your site. Love the Camolot squares, where can I find the pattern?